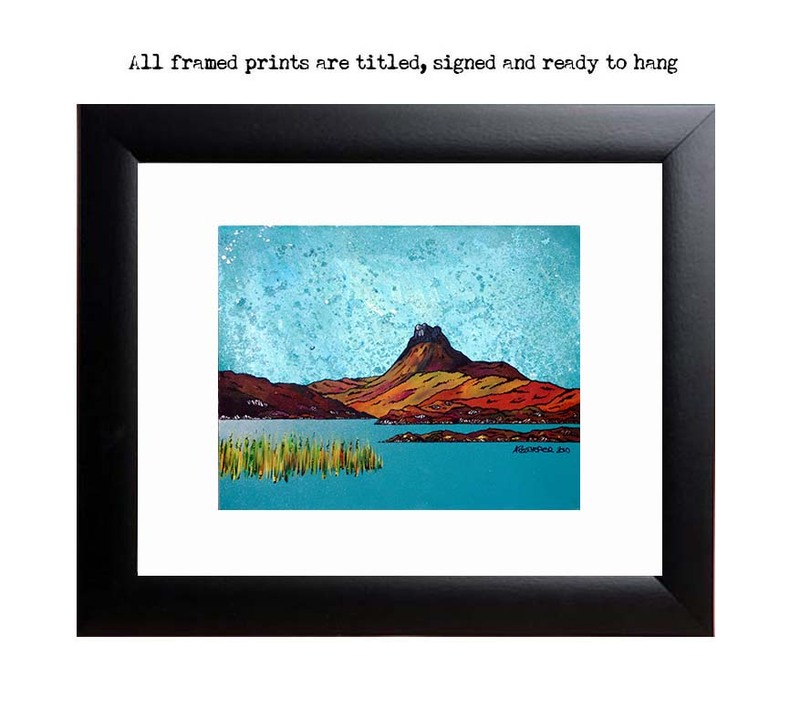 An original abstract, atmospheric landscape painting of Stac Pollaidh across the Loch Lurgainn, Scottish Higlands. Original box canvas painting has now sold. A variety of print sizes and formats are still available. 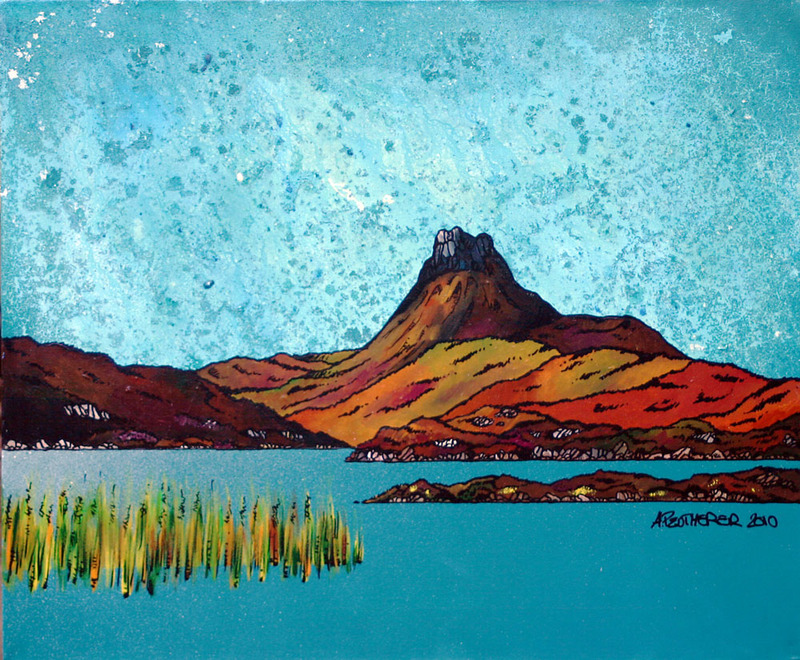 Scottish Highlands Paintings & Prints - Stac Pollaidh across the Loch Lurgainn, Scottish Highlands.